In everyday life, your lenses are constantly exposed to potential scratches, glare and smudges which reduce the optimum optical transmission of light and degrades visual contrast. 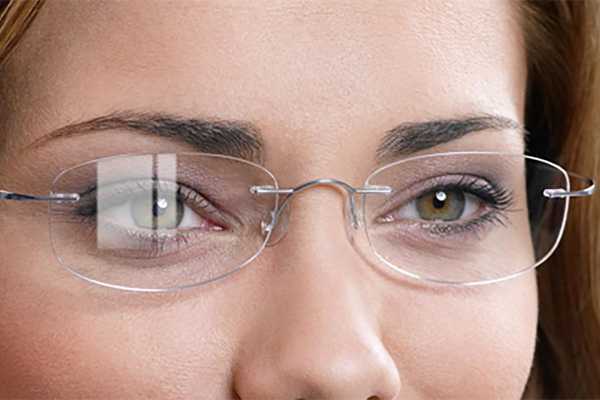 In order to improve your visual comfort, Crizal and Nikon have developed anti-glare coatings which provide the best transparency and the most effective protection for your lenses. Once applied to your lenses, these coatings will allow you to have lenses that are reflection-free, scratch-free and nearly care-free. Most of our lenses are equipped with Hydrophobic coatings, which will provide superior scratch resistance, easier maintenance and ultimate clarity. Lenses coated with Crizal Prevncia and Nikon See Coat Plus UV transmit up to 99.6% of light and eliminate glare from artificial lights. These coatings provide many benefits, such as improved contrast perception, reduced glare for optimal visual clarity (especially nighttime driving), reduced eye strain and improved aesthetics (especially in flash photography!). Blue Light Block coatings are a new and advanced technology for individuals who are spending more than an hour a day on any digital devices (including computers). This lens coating will protect your eyes against the most harmful UV (blue light).